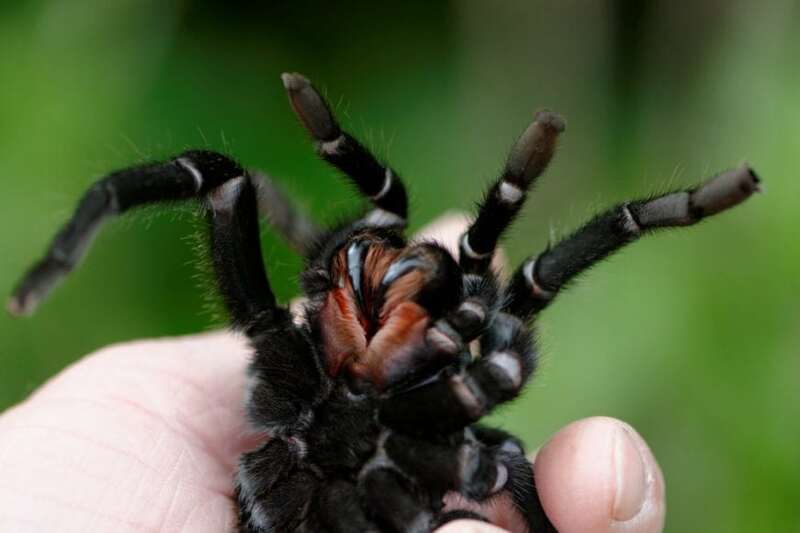 Exaggerated Weapons In New Zealand Spiders – Does Size Matter? We have always been thrilled by animal weapons. From enormous antlers to fangs to crab claws, in their multitude of forms and shapes, we are only better pleased when we get to see these exaggerated weapons employed in the task for which they have evolved: competition between rivals, often for access to mates. But while weapons are used during such contests, it can be a little challenging to quantify exactly how these large weapons advantage their owners. Afterall, for most animals which exhibit mate guarding behaviors, it is the biggest of the two fighters that will win a contest, and it is difficult to disentangle the advantage of being a bigger individual from that of having a bigger weapon. 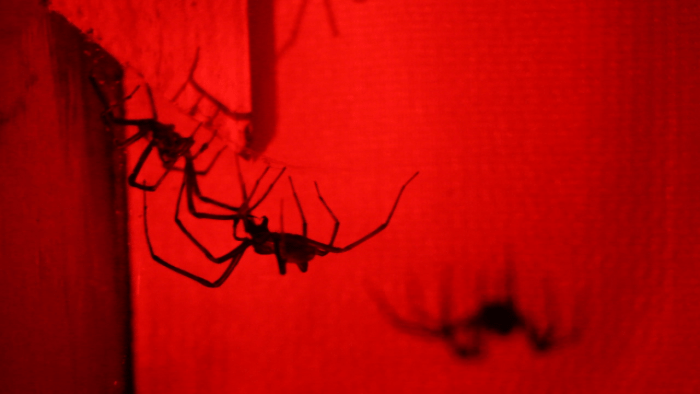 New Zealand sheet-web spiders are one such species in which males contest access to mates. As with many other animals, males of this species bear exaggerated weapons. In this case, the weapons are a pair of chelicerae (jaws) that are sometimes twice the length of those of females. However, these weapons are not only exaggerated i.e. males have larger weapons than females, but these weapons also exhibit a strongly positive scaling relationship. That is, the largest adults males carry weapons which are proportionally larger, relative to body size, while smaller males carry proportionally smaller weapons, even for their smaller bodies. This is actually a fairly common pattern amongst animals with exaggerated weapons and can result if there are greater benefits of having a big weapon for larger males than for smaller ones. As a result of greater potential benefits, larger males may invest more in weaponry. Alternatively, if weapons are hard to develop or carry relative to the benefits, smaller males might not invest as much in developing them. Either way, in these spiders, all males have large jaws, but large males have even larger ones. In the context of male-male contests, we would expect that larger males have even larger weapons because it helps them to win more fights against tougher opponents. Alternatively, perhaps these weapons are nothing but lofty shows of potential, allowing combatants to “size each other up” and withdraw from contests with poor odds. However, when we staged contests between randomly-selected adult male spiders, weapon size had no effect on which male won a fight. Not only that, males are apparently insensible about the size and fighting ability of their opponent, conceding defeat based only on assessments of their own abilities. That is, small fighters withdrew quickly from contests while larger fighters did not, irrespective of who they were pitted against. Instead, what we found was that not all males used their weapons during fights. Animal contests often proceed through distinct stages of escalation. In the case of sheet-web spiders, the males will push at each other with their forelegs first, a behavior known as “sparring.” If the fight lasts long enough, fights might escalate to “grappling,” in which the combatants interlock their chelicerae and push at each other. When we analyzed contests separately depending on how far they escalated, we found that only the largest males were ever involved in fights which escalated to grappling. As a result, only the largest males ever used their chelicerae in fights with other males because only the largest males “backed themselves” to stay in fights for long enough for them to escalate to grappling. This introduces a novel interpretation of why these male spiders should have exaggerated weapons and why we should observe disproportionately large weapons in the largest males. Perhaps the weapons don’t give males a fighting advantage, perhaps they’re just a functional requirement for grappling — a “you must be this tall to ride” scenario. If small males are unlikely to ever be involved in grappling because they always withdraw early, why invest as heavily in the trait? By contrast, larger males are more likely to invest energy and time into fights. So they had best come prepared. 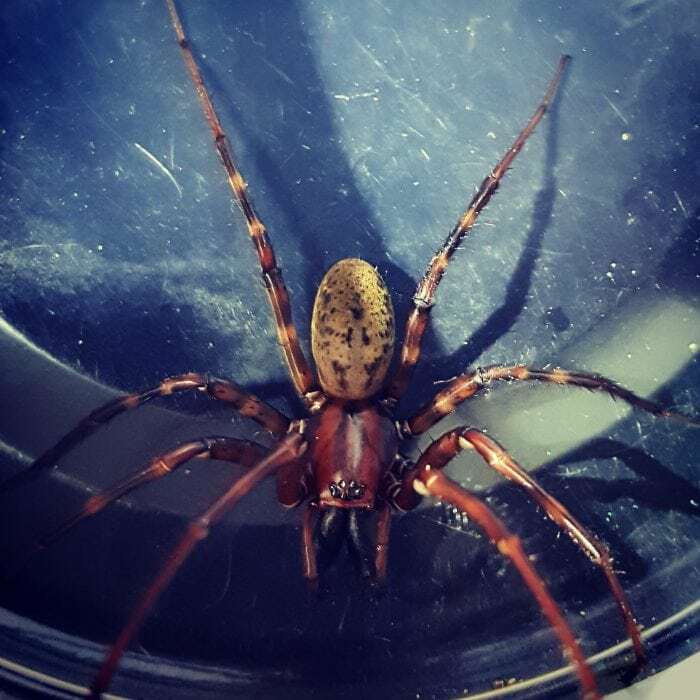 These findings are described in the article entitled The role of exaggerated male chelicerae in male–male contests in New Zealand sheet-web spiders, recently published in the journal Animal Behaviour. This work was conducted by Leilani A. Walker and Gregory I. Holwell from the University of Auckland. Leilani Walker is a behavioral ecology researcher at University of Auckland · School of Biological Sciences.